Well, looks like it was G.O.O.D. Friday after all. Following word from Kanye West that he would be cancelling this week's instalment thanks to a leak of "Lost in the World," Ye unloaded a new track anyway late last night (October 1). And yep, you can grab it down below. 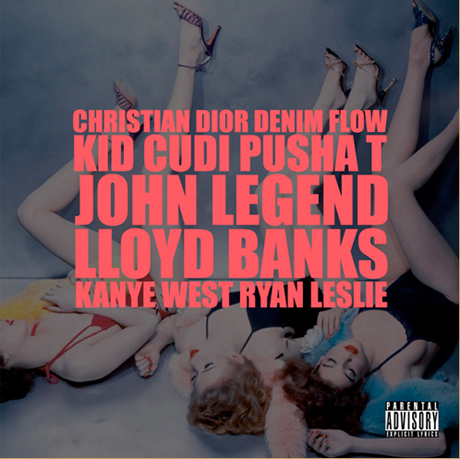 For this nearly seven-minute monster dubbed "Christian Dior Denim Flow," Kanye has roped in guests, including John Legend, Kid Cudi, Pusha T, Lloyd Bank and Ryan Leslie. And like most G.O.O.D. Friday throwdowns, this one's epic to say the least. Click here to grab that download for yourself.